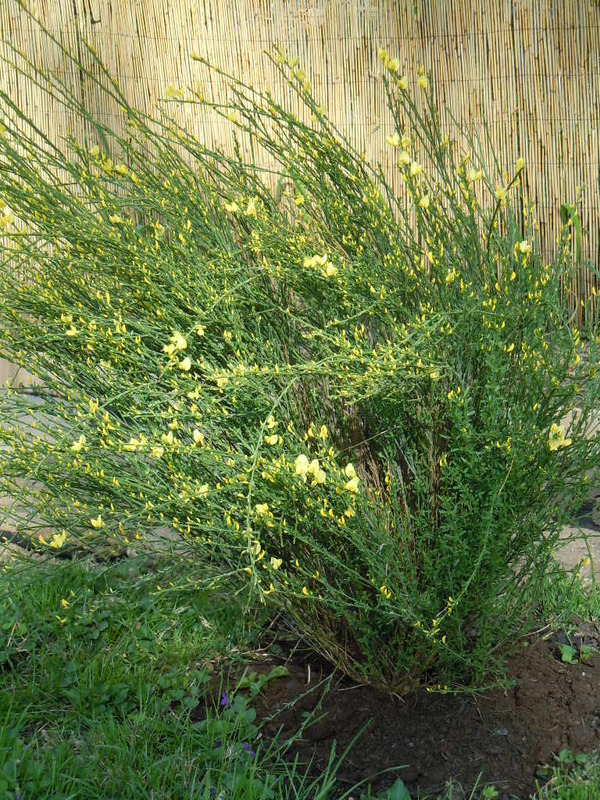 This weekend we also added a new broom shrub bush to the yard. 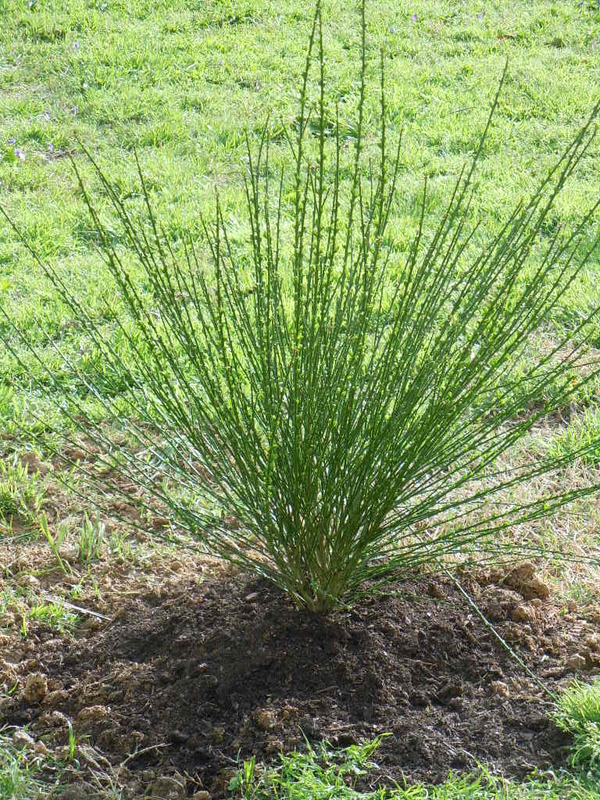 It’s an odd evergreen variety that will be covered in blooms soon. We bought two last year for the yard, one yellow and one pink. This new one should blood dark red. Click here for a photo from last year of them in bloom. Pictured at right is the new guy! Have three really helped complete the line of flowers along our garden path and gives it more height. This photo is the yellow one we planted last year, already starting to bloom again! Where do you live? I wouldn’t cut it entirely back or it might not come back. Broom shrubs are actually evergreens. You can thin them if they get too bushy but you never want to cut them all the way back.